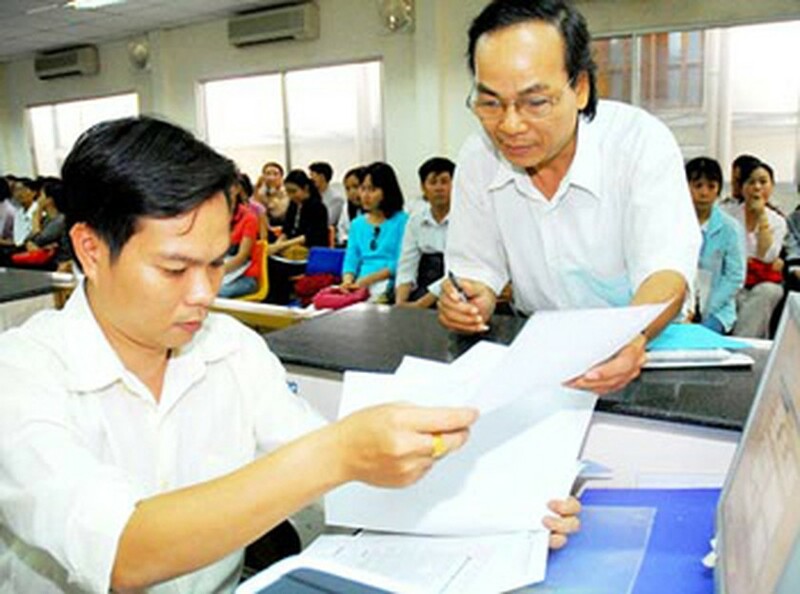 Ho Chi Minh City’s Department of Planning and Investment has simplified the procedures that grant business licenses, tax codes and seals, shortening the process to seven days, but investors still struggle with other secondary licenses from other departments that take them a lot of time. Nguyen Van Thinh, who has completed the bureaucratic requirements to open a restaurant, said that it has never been so easy to establish companies. Investors need identity cards and must complete and submit forms downloaded from the department website before waiting seven days to obtain business licenses together with seals and tax codes. However, to open his restaurant, Mr. Thinh had to acquire other secondary licenses. First was certificate for fire prevention and extinguishment safety. To complete the licensing, he had to install equipment for fire prevention and extinguishment and hire engineers make a map of the restaurant. It was not over as Thinh was also required to obtain certificates for food hygiene and safety, which forced him to attend a course and wait for three weeks to get the documents. To sell wine in his restaurant, he had to obtain yet another license. In addition, he had to come to the ward office, where his restaurant is located, for labor registration and take his staff to attend fire prevention and fighting courses. To conduct his business legally, Thinh was obligated to wait several months, while he still suffered the expense of paying rent and the wages of his staff. Thinh said that starting a business was too difficult, fraught with seemingly unending and certainly annoying procedures. Nguyen Huy Hoang, another investor, also dealt with bureaucratic inconveniences in order to open his wine shop. Requisite documents needed for the license to trade wine included a signed contract proving he had already rented the space. In addition, to get “child” licenses after he had the businesses licenses, seals and tax codes, he had to accumulate other “grandchild” papers, causing more difficulties. For instance, businesses are required to submit documents related to fire prevention and fighting safety, food hygiene and safety and environmental protection in accordance with regulation of the law. 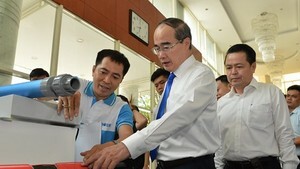 To comprehend the numerous regulations, Hoang had to visit several relevant departments to search out proper guidance. At the fire prevention and fighting agency, Hoang was told to wait until officials inspected his business. Hoang said he also was required to present certificates on food hygiene and safety of each individual wine product he bought from producers. To have environmental protection certificate, Hoang came to the district Department of Natural Resources and Environment, where his business basic is located. However, when he submitted documents at the department office, officials at the reception division said that the district had stopped receiving documents for this purpose. After researching the matter, he discovered that the moratorium only applied to businesses already in operation, not new businesses. In another unreasonable procedure required to open his shop, Hoang had to present a methodology for waste management. Hoang found this odd, as his shop is just 5x7 meters in area, which would sell bottled wine bought from producers, he said. However, he still had to meet the requirement if he wanted to do business. Moreover, Hoang was required to submit contracts between him and his wine providers and wine trading projects, including the names of customers and details of proposed modes of management. Relevant departments should examine their regulations and procedures to eliminate unnecessary papers, to reduce troubles for burgeoning businesses.